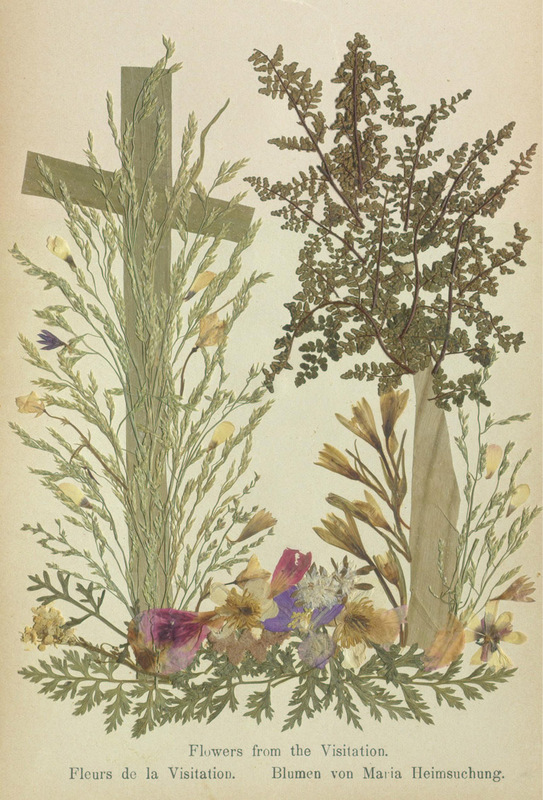 In the 19th century, tourists who traveled through the Holy Land may have picked up scrapbooks of pressed flowers as souvenirs. 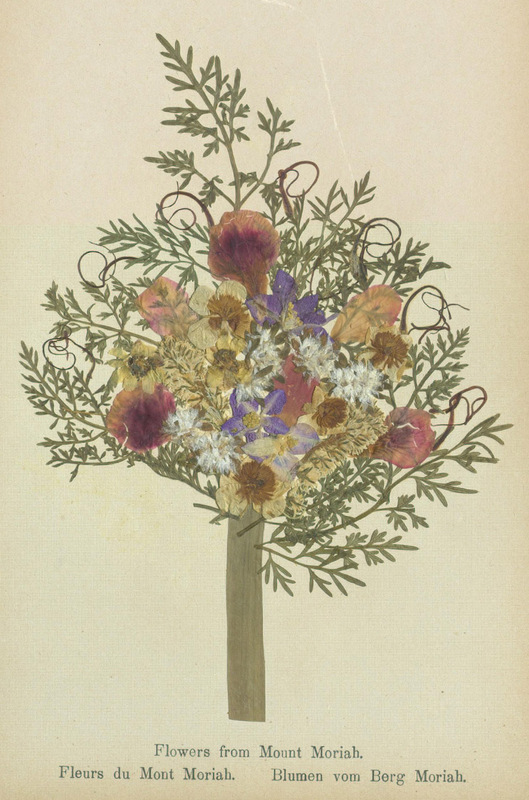 The Thomas Fisher Rare Book Library at the University of Toronto is currently displaying two examples of such albums, Flowers of Jerusalem and Flowers of the Holy Land, and recently shared some of the images contained in them on Flickr. 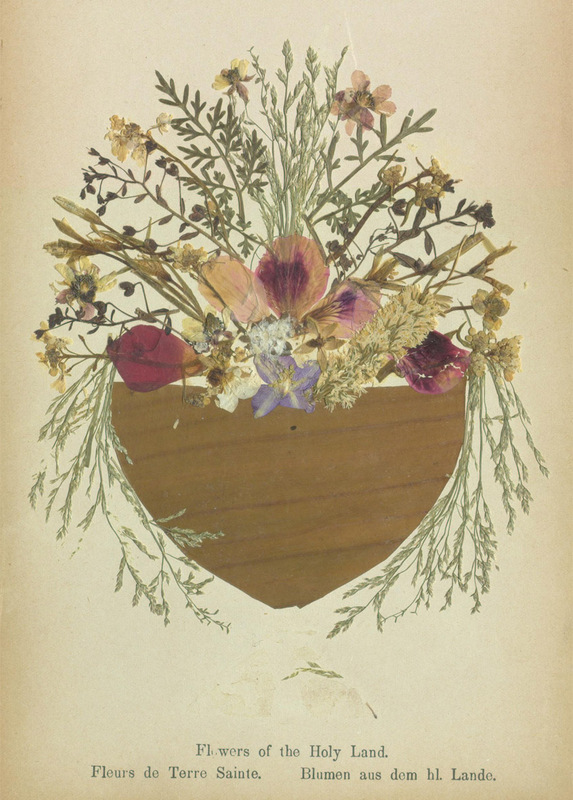 “These souvenir albums were also exported to the US, for people who couldn’t make the pilgrimage to Israel,” Maria Zytaruk, associate professor in the Department of English at the University of Calgary, told Hyperallergic. 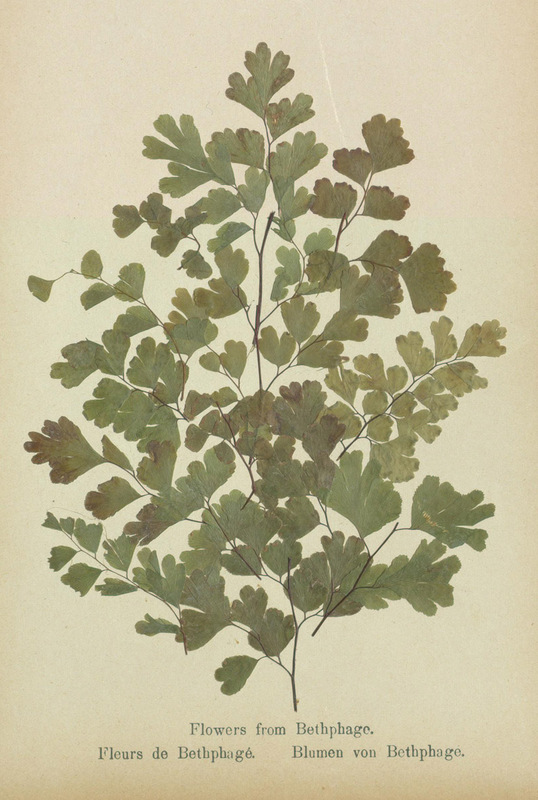 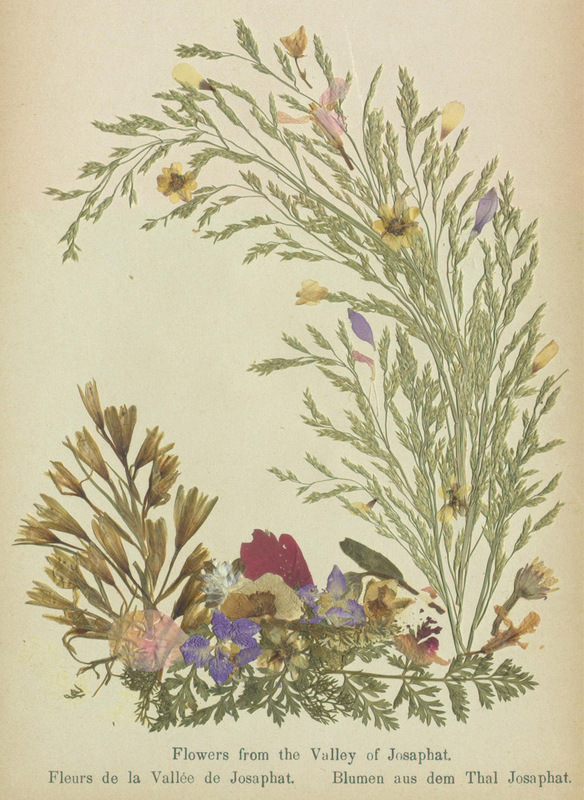 Zytaruk curated the Toronto display, which draws on the library’s Victorian Natural History Collection; its contents reflect the romantic view of nature and science in the era, with such holdings as Victorian seaweed scrapbooks and natural history cloth bindings. 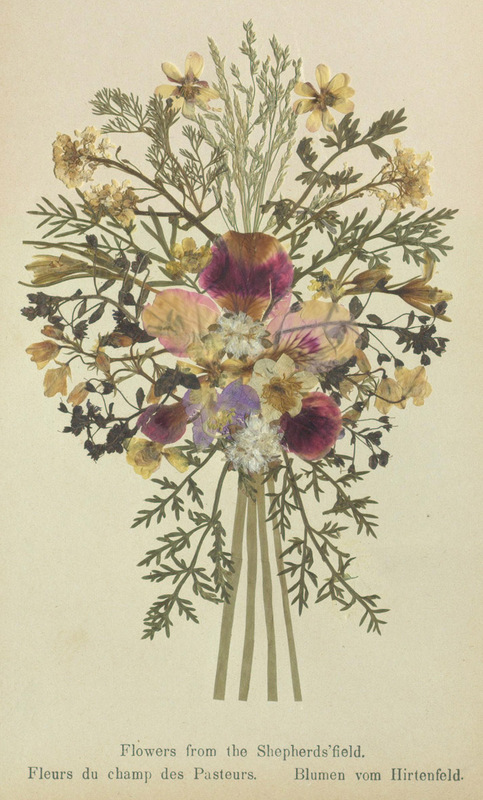 The souvenir albums definitely demonstrate this romanticism. 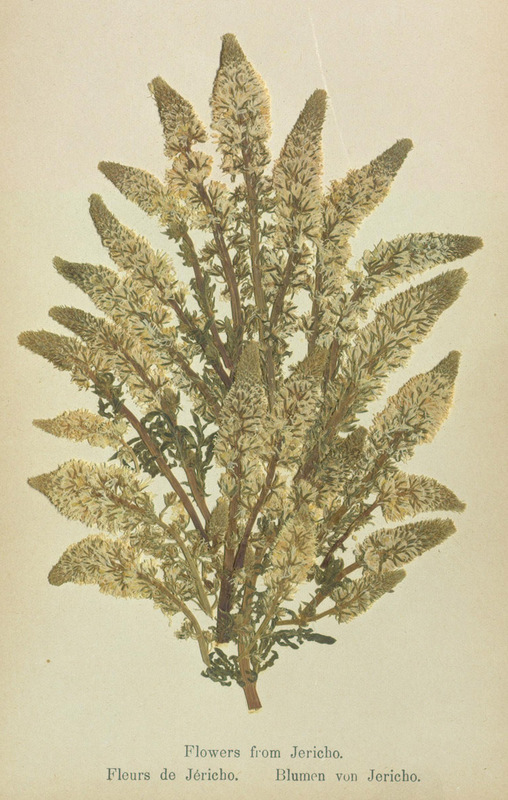 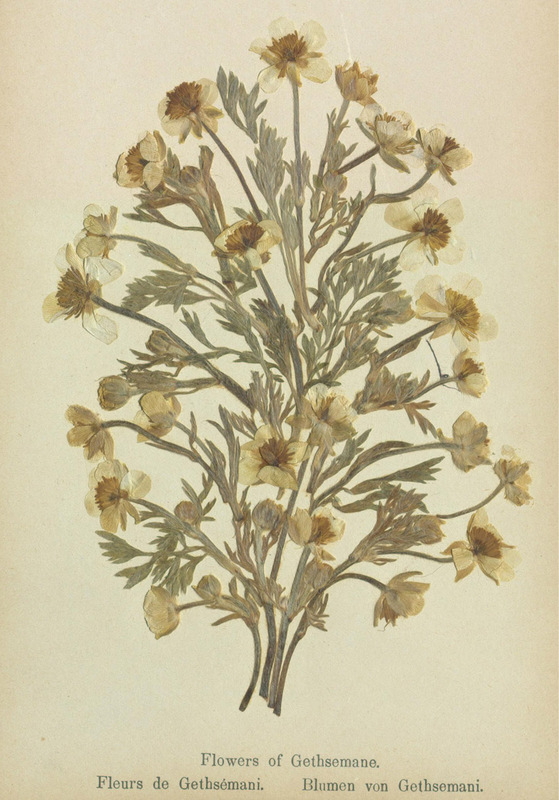 For example, Flowers of the Holy Land, some of whose pages are shown in this post, has descriptions of the supposed provenance of its specimens in English, French, and German, but no actual names of the flora. 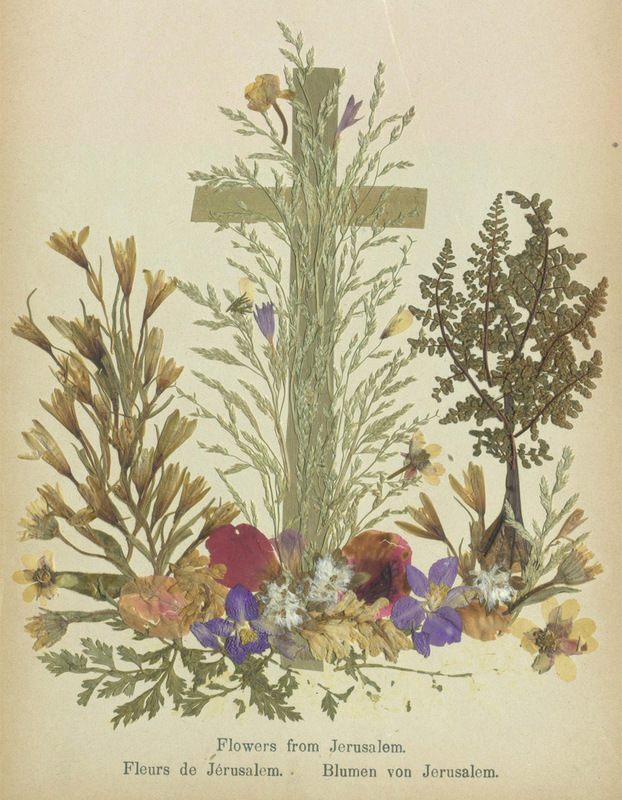 Flowers also represented their own language in the Victorian era, with symbolic meanings attributed to different blooms, so these albums may have had another layer of meaning beyond their tactile connection to a sacred place. 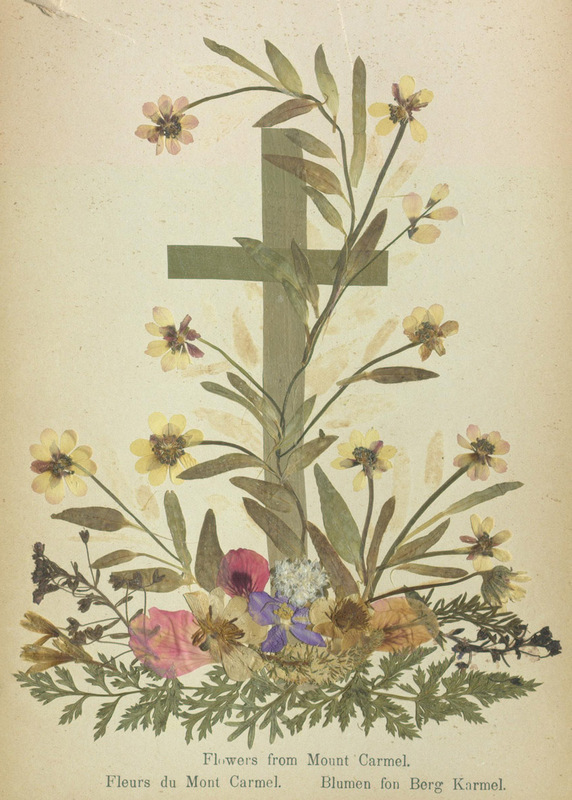 Below, you can see some examples from Flowers of the Holy Land, including blooms from Mount Moriah arranged in a bouquet, a branch from the Mount of Olives, papery yellow petals from Gethsemane, red bursts from Mount Scopus, and botanicals from Mount Carmel layered over a cross. 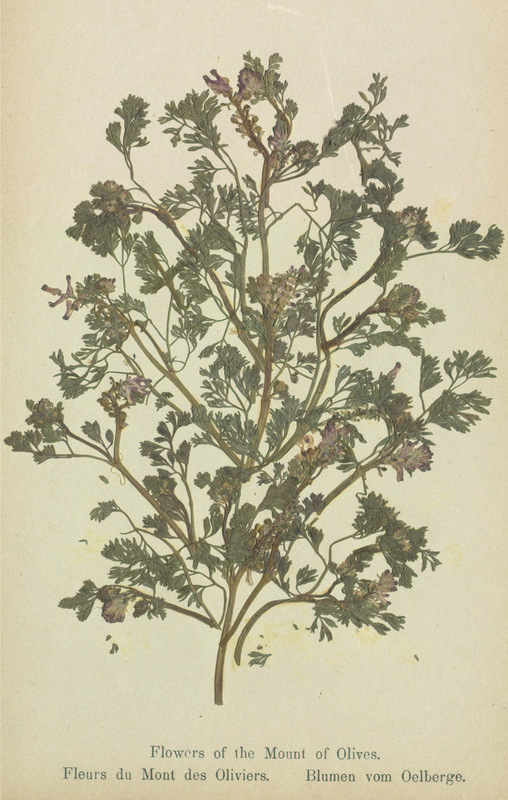 More are digitized on Flickr. 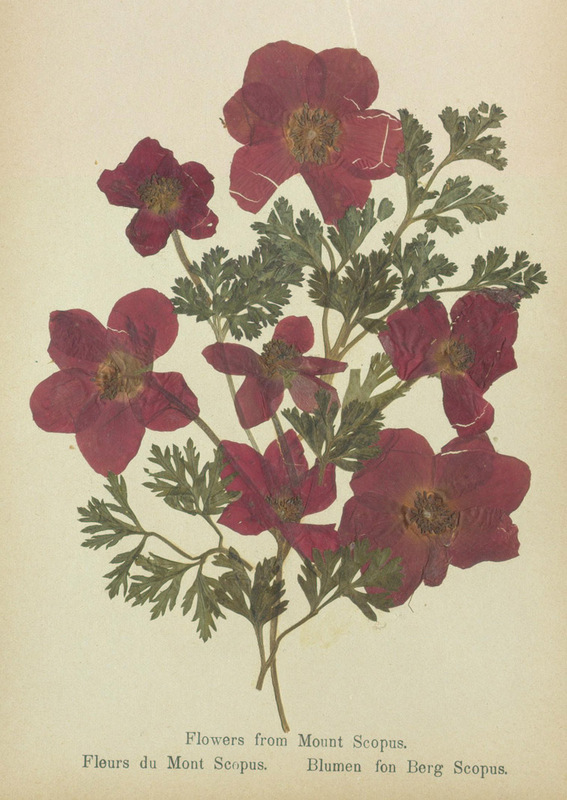 Flowers of Jerusalem and Flowers of the Holy Land are on view at the Thomas Fisher Rare Book Library (University of Toronto, 120 St George Street) through August 31.